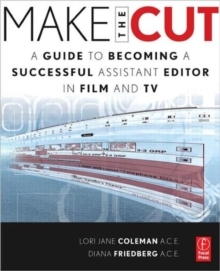 Being a successful editor is about more than just knowing how to operate a certain piece of software, or when to make a certain transition. On the contrary, there are many unwritten laws and a sense of propriety that are never discussed or taught in film schools or in other books. 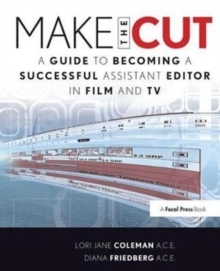 Based on their own experiences, first as upcoming assistant editors, then as successful Hollywood editors, the authors guide you through the ins and outs of establishing yourself as a respected film and video editor. Insight is included on an array of technical issues such as script breakdown, prepping for sound effects, organizing camera and sound reports, comparison timings, assemply footages and more. In addition, they also provide first-hand insight into industry protocol, providing tips on interviewing, etiquette, career planning and more, information you simply won't find in any other book. 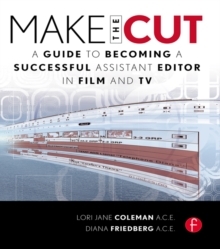 The book concludes with a chapter featuring Q+A sessions with various established Hollywood editors about what they expect from their assistant editors.